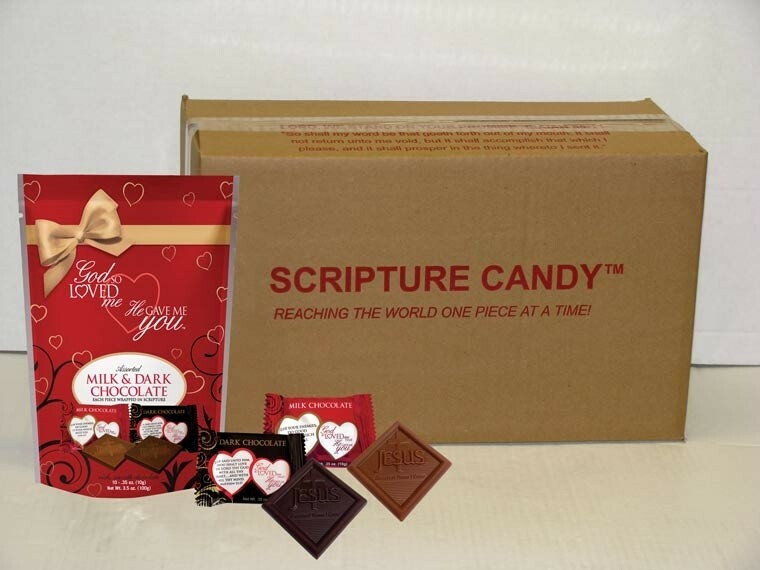 This Scripture Candy pouch contains 10 assorted milk and dark chocolates. Each Christian Candy piece is individually wrapped in the "God So Loved Me That He Gave Me You" theme and a love scripture. Treat yourself or your loved ones to this delicious chocolate, proudly made in the U.S.A.